You may not remember that Timothy Leary, the psychologist renowned for his advocacy of psychedelic drugs and a key figure of the 1960s counterculture movement, dabbled in video games development in the 1980s. Now a trove of games discovered inside hundreds of discs in Leary's archives will be playable at the New York Public Library. Leary's most notable game was 1985's Mind Mirror (pictured), his lone commercial work, published by no less than The Man, Electronic Arts. As The New York Times mentioned yesterday, it sold about 65,000 copies and "allowed players to create, evaluate and role-play different personalities based on psychometric ideas from his 1950 Ph.D. thesis, 'The Social Dimensions of Personality.'" 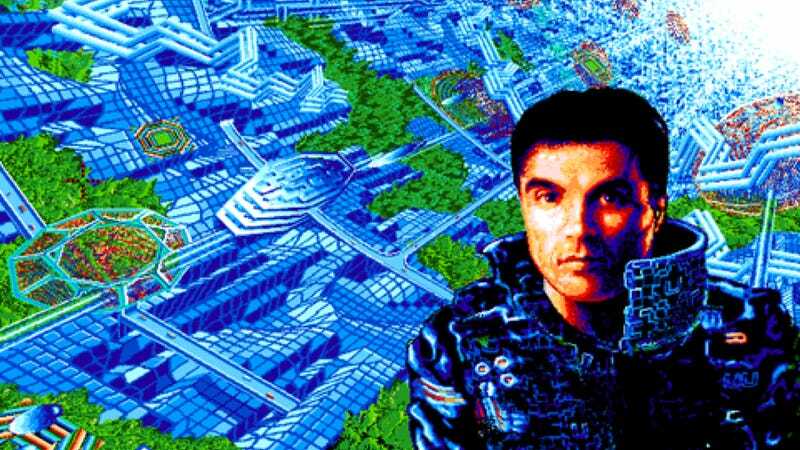 There are other works on display, thanks to emulation, including a game based on the William Gibson novel "Neuromancer." The unfinished work was to included images by the photographer Helmut Newton, writing by William S. Burroughs, and music by Devo, who recorded "Whip It." The archivist behind the NYPL's project warned that "the games were still in development, so they're buggy," and the Times cautions that the games "hardly look trippy by today's standards."